How do you order Clopidogrel 75 mg Gluten Free online? To order Clopidogrel 75 mg Gluten Free from YouDrugstore you must have a prescription from your doctor. 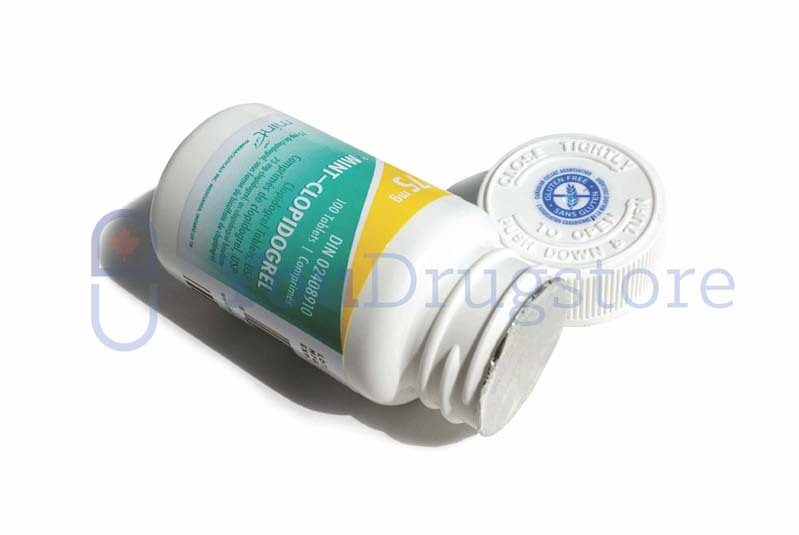 If you have been given a prescription you can buy Clopidogrel 75 mg Gluten Free from YouDrugstore. We are an online pharmacy based out of Canada. That means you can purchase Clopidogrel 75 mg Gluten Free for the same price Canadians pay. Just register a free account on our website and send us your prescription. Our qualified health care team will review your order after all of the necessary information from you has been received. To speed up the process you can ask your doctor to fax us your prescription directly. 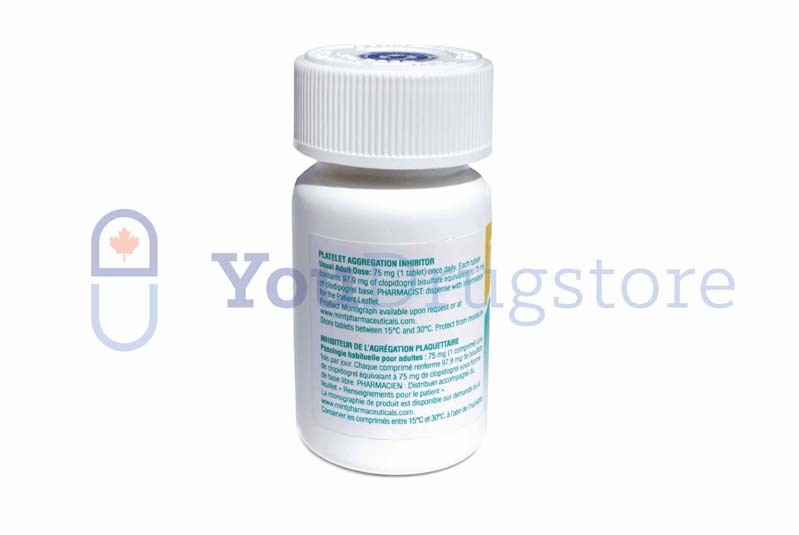 Clopidogrel Gluten Free is a generic drug that is used to prevent future heart attacks, strokes, and thrombosis in those who have a high sensitivity to gluten. 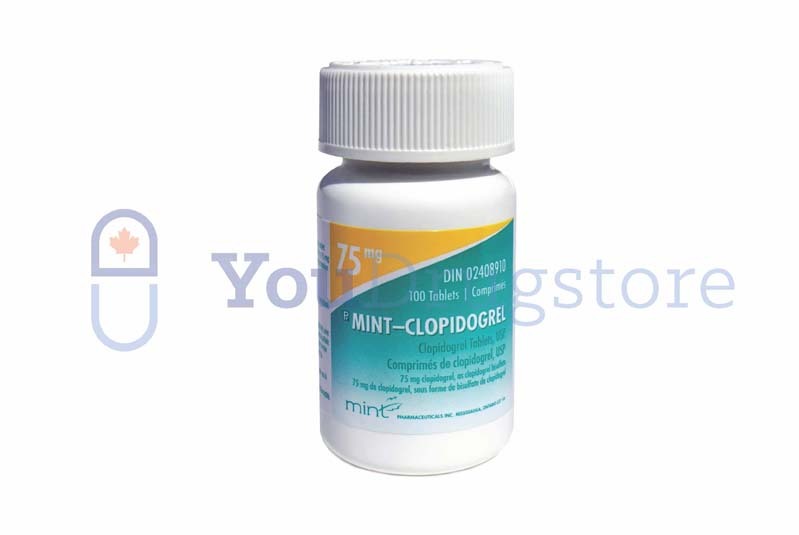 Buy Clopidogrel 75 mg Gluten Free from YouDrugstore today and get gluten free protection from heart attacks and strokes. Why is Clopidogrel 75 mg Gluten Free prescribed to prevent another heart attack or stroke? Your blood has the ability to become thick and sticky in order to stop bleeding when you are cut. However, sometimes your blood can become sticky while it is still in your circulatory system. This poses a major risk for heart attacks, strokes, and the formation of blood clots as your blood sticks to the walls of your veins and arteries, obstructing blood flow to vital organs. Clopidogrel Gluten Free is a gluten free drug that is an effective treatment for those with a high sensitivity to gluten, including those suffering from celiacs disease (also known as coeliac disease). Clopidogrel is a generic drug that is known as an antiplatelet agent. Antiplatelet agents are drugs that disable your blood's ability to thicken or become sticky, thus preventing future heart trouble and strokes. Clopidogrel is also an alternative to Plavix, a popular heart attack and stroke medication. In 2010 Clopidogrel was the second most frequently purchased medication in the world. Purchase Clopidogrel 75 mg Gluten Free from YouDrugstore and get gluten free protection from future heart attacks and strokes. What are the side effects of taking Clopidogrel 75 mg Gluten Free? When you take Clopidogrel you may experience itching, abdominal pain, rashes, constipation or diarrhea, indigestion, bloody urine, and headaches. These are the most common side effects associated with taking Clopidogrel 75 mg Gluten Free. They should be relatively mild and they should not last for very long. If they are severe, or if they disrupt your daily functioning, call your doctor. Potentially harmful side effects include severe headaches caused by bleeding blood vessels in your head, liver and bile disorders, fever, yellowing eyes or yellowing skin, confusion, signs of an infection, and extreme fatigue or tiredness. These side effects are considered rare. Contact your doctor immediately if you experience any of these side effects. If you are concerned about taking Clopidogrel 75 mg Gluten Free talk with your doctor. When should you take Clopidogrel 75 mg Gluten Free? You should always take Clopidogrel 75 mg Gluten Free tablets exactly as your doctor has instructed. Never take more or less than your doctor has told you. In order to prevent future heart attacks, stroke, and blood clotting a usual treatment with Clopidogrel 75 mg Gluten Free includes one tablet a day. Clopidogrel 75 mg Gluten Free should be taken at the same time everyday for the best result. You can take Clopidogrel 75 mg Gluten Free either with or without food, but it helps to take it with a meal to ensure you are taking it at the same time everyday. Do not chew or break apart the tablet, it should be swallowed whole. If you are unsure about how to properly take Clopidogrel 75 mg Gluten Free ask your doctor. Who might receive a prescription for Clopidogrel 75 mg Gluten Free from their doctor? Doctors prescribe Clopidogrel 75 mg Gluten Free for those who are at risk for having another heart attack or stroke and also suffer from celiac disease (sometimes referred to as celiacs). Prescriptions for Clopidogrel 75 mg Gluten Free are not commonly given out to those under 18 years old. You should tell your doctor if you are pregnant or breastfeeding before taking Clopidogrel 75 mg Gluten Free, even though it has shown to be safe for pregnant women. Do not take Clopidogrel 75 mg Gluten Free if you are allergic to it or any of its ingredients. Where can I learn more about Clopidogrel 75 mg Gluten Free?